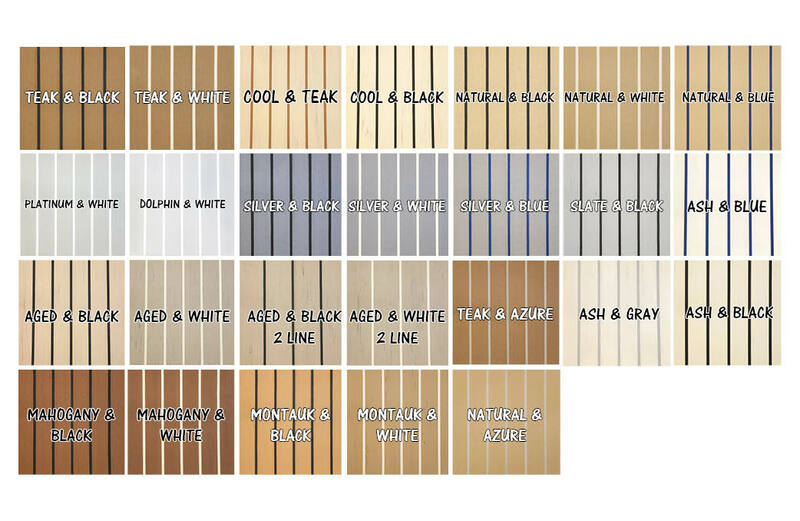 Order our PlasDECK Sample Pack to see and feel the new PlasDECK E-Series synthetic teak deck material! All Sample Packs come with our printed catalog. Order our PlasDECK Sample Pack to see and feel the new PlasDECK E-Series synthetic teak deck material! Each PlasDECK sample is 2 inches x 6 inches. All Sample Packs come with our printed catalog. Our samples are shipped in a 10 x 13 envelope USPS Flat Rate Envelope. The $7.50 charge is to cover shipping in the USA. Samples to Canada and Mexico will cost $25.00. Shipping to all other countries will be $35.00. Please specify below which sample colors you would like.